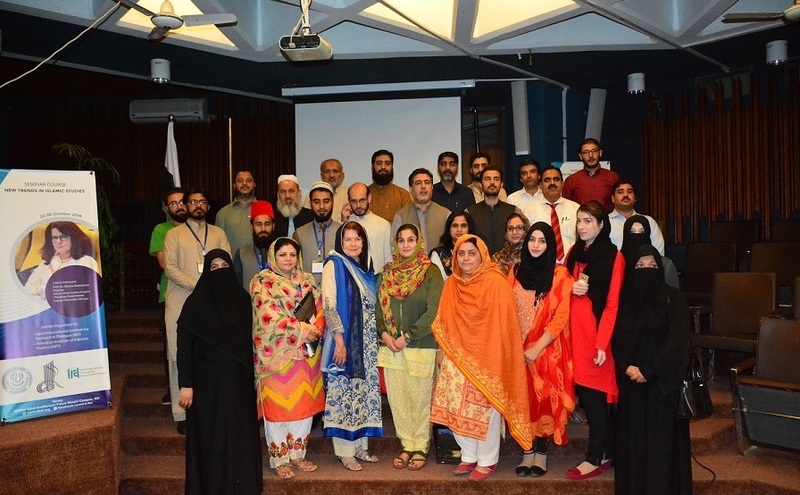 Dr. Marcia Hermansen led a five-day workshop titled “New Developments and Debates in Islamic Studies” at the International Islamic University Islamabad. This workshop addressed current trends in the academic study of Islam (Islamic Studies) with the purpose of acquainting Pakistani academics in related fields with theories and practices impacting the academic study of Islam, major debates in the field, innovative pedagogical strategies, and approaches from the academic study of religion. The goal was to prepare early career Pakistani faculty from diverse Pakistani universities for research publications and curriculum designs that fulfill local needs and interests while meeting international standards. The participants were invited to submit syllabi and ask questions related to issues they faced in teaching and research during the workshop. Following the workshop, Dr. Hermansen participated in five other academic engagements reaching over 800 people. Participants improved their pedagogical skills, increased their exposure to new trends in Religious Studies, learned new research skills that could be applied at the international level, gained new perspectives in the field, and felt inspired and motivated to continue in the field of Religious Studies! A few of the many topics covered include: The Academic Study of Islam in American and European Contexts, Revealed Texts and Sacred History, Constructive Theology/Islamic Law, Gender Studies/Feminism, and Pedagogical Themes. Bio: Dr. Marcia Hermansen is the Director of the Islamic World Studies program at Loyola University Chicago where she teaches courses in Islam and Religious Studies in the Theology Department. She received her Ph. D. in Arabic and Islamic Studies from the University of Chicago and has authored and co-edited numerous books. She writes on Islamic thought, Islam and Muslims in South Asia, Sufism, Muslims in America, and Women and Gender in Islam. Her personal and academic association with Pakistan began as a graduate student when she studied Urdu in Lahore as part of the Berkeley Urdu Language Program.